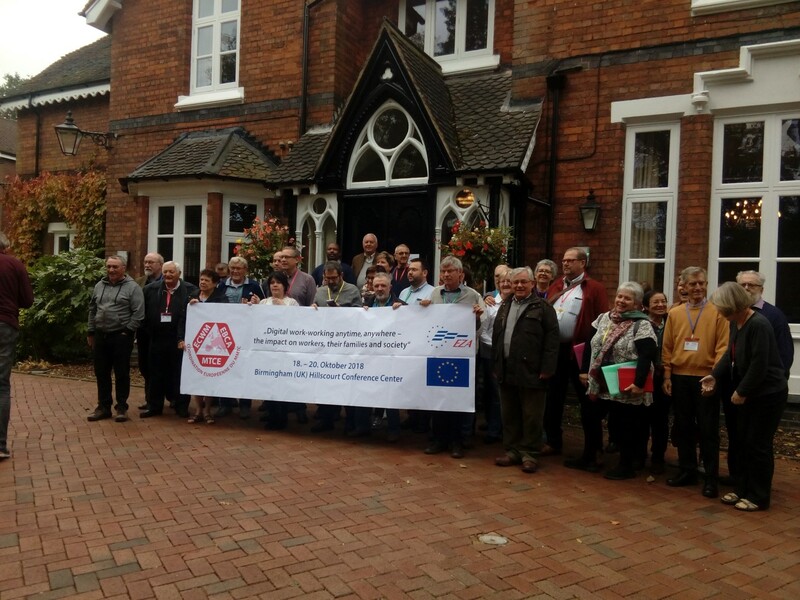 World Movement of Christian Workers - ECWM Yearly Seminar in Birmingham, UK: "Digital work - working anytime, anywhere - impact on workers and their families"
The first part (SEE) began with the communications of experiences around the theme. Experiences from Portugal, Spain and Germany were shared. In them testimonies of workers were exposed: Work at home by means of computer in permanent connection with the company. Work of food distributors with bicycles. Family life influenced by new communication technologies. Information and awareness-raising campaign for decent work, etc. 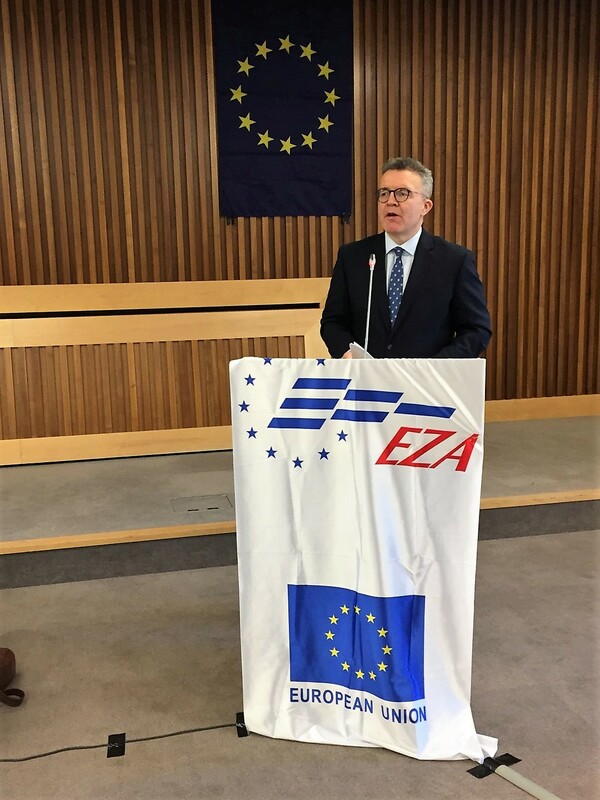 Then there was a presentation by Tom Watson, leader of the Labour deputies in the English parliament, who, in turn, defined himself as a Christian. 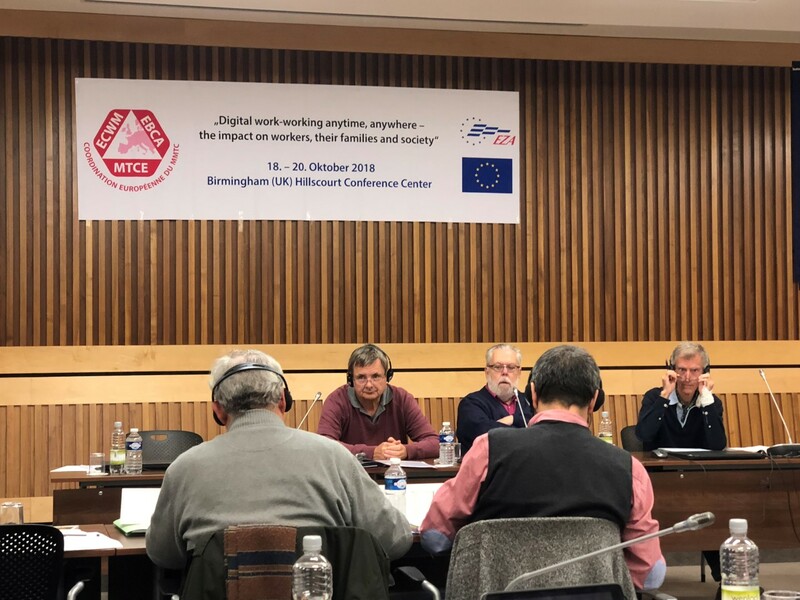 It revolved around the theme of the Seminar and deepened the way in which this new social, technological and economic moment is affecting the lives of workers and their families. The second part, the JUDGE part began with a paper that was presented by Gabriele Kienesberger, Member of the Austrian Catholic Social Academy and Co-President of the Ecumenical Forum of Christian Women in Europe, as well as a member of KABÖ, the Christian workers' movement in Austria. Its title was: God in Computers? Ethical aspects of digitisation. In this presentation, points such as: Digitisation raises fundamental questions for theology; simulated intelligence - robots replacing humans; the anonymity of the internet; new social redistribution; access to democratic decisions; fair access to goods; the power, strength and dangers of new media and technologies. The dialogue in the group meetings continued to deepen the theme and prepare the next moment, the ACT part, outlining priorities and lines of action to face this new social moment as workers and as Christians. And already in the ACT part, we debated our role at this time, both each movement in their country, as well as the European coordination. There was a dialogue on the need to continue promoting decent work, the deep respect for the human dignity of workers and their families, the care of life as a whole (human beings, nature, resources, environment, etc.) since everything is part of the work of God's creation, the convenience of continuing to collaborate and in relation with European, social and ecclesial organizations that raise this important issue and with objectives similar to the ECWM, and so on. There was also time for a thematic visit to the city of Birmingham, in which we observed the changes in the world of work there in recent decades. The decline of the automobile industry. The conversion of working neighborhoods into commercial, financial and high-end apartment areas. Finally, a final declaration was made, which ca be downloaded below.